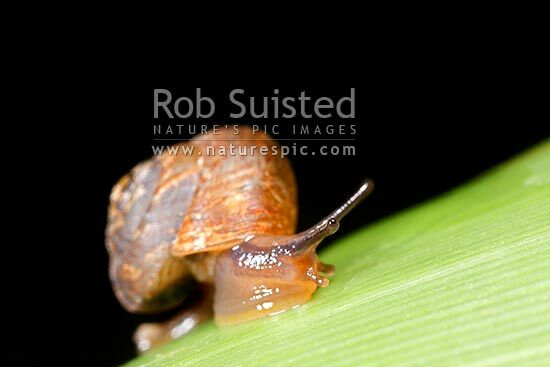 NZ native micro-snail at night on flax leaf (Thalassohelix zelandiae (Gray); Charopidae: Phenacohelicinae). Shell approx. 8mm across, Mana Island, New Zealand (NZ), stock photo.